BERLIN (Reuters) -- U.S. law firm Hausfeld said it will pursue the claims of European customers harmed by Volkswagen's emissions scandal, adding to the German automaker's mounting legal challenges. 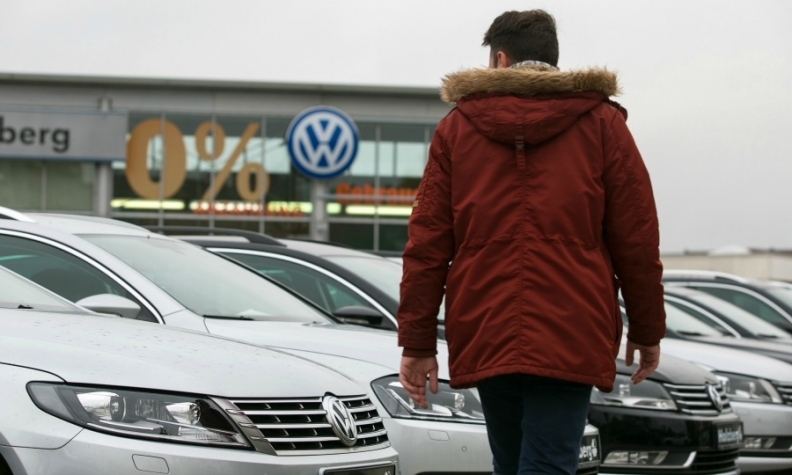 In a letter to VW's top management and chairman, Hausfeld has called on the carmaker's senior executives to meet with its representatives before the end of March to discuss potential European customer claims. "We respectfully request the opportunity to meet with you, subject to availability, within the next two weeks, to begin a process between the company and its customers in Germany and throughout the EU, which could ultimately and naturally bring this issue to an early joint satisfactory closure," the letter said. A copy of the letter by Hausfeld, a specialist in commercial litigation, was emailed by the law firm's Berlin-based office to Reuters. Volkswagen did not return calls seeking comment. Volkswagen admitted last September that it installed manipulated software in about 11 million diesel cars globally that was designed to cheat emissions tests. Two months later, the automaker announced a $1,000 goodwill compensation program for U.S. customers, but has refused to offer a similar deal to customers in Europe. On Monday, German law firm TISAB said 278 institutional investors in Volkswagen filed a 3.26 billion euros ($3.62 billion) lawsuit against the carmaker for what they see as breaches of its capital markets duty in the scandal.